Brooke was born December 23, 2018. 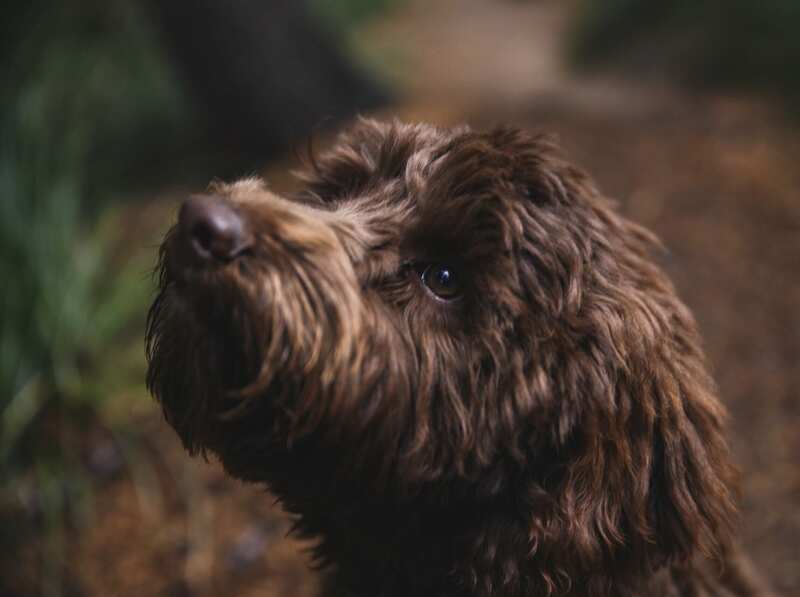 She lives in a guardian home in Eugene, Oregon with loving family & another sweet doodle. Brooke has a incredibly soft apricot/red fleece coat and a fun-loving temperament. She will mature to a larger medium to standard size. We are excited to see if she passes her testing and then the puppies she produces for us in the future! Mia was born August 20, 2018. She lives in a guardian home in Bend, Oregon with an wonderful family. Mia has a gorgeous apricot coat and a temperament that loves to snuggle and other time to explore. She is a medium size. We are excited to see if she passes her testing and then the puppies she produces for us in the future! Shasta was born January 20, 2018. She lives in a guardian home in Mamouth Lakes, California with dear friends. 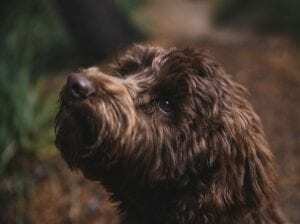 Shasta has a gorgeous chocolate coat and an adventurous temperament. She is a medium size. We are excited to see if she passes her testing and then the puppies she produces for us in the future! Melody was born July 20, 2017. She lives in a guardian home in Bend, Oregon with an amazing family. Melody has a gorgeous blue merle coat and a loving temperament. She is a small size. We are excited to see if she passes her testing and then the puppies she produces for us in the future! Shadow was born July 28, 2017. She lives in a guardian home in Eugene, Oregon with an amazing family. Shadow has a gorgeous cream coat and a nice fun loving temperament. She is a standard size. We are excited to see if she passes her testing and then the puppies she produces for us in the future! Maya was born December 3, 2017. She lives in a guardian home in Ridgeview, Washington with an amazing family. Maya has a gorgeous red coat and a nice sweet temperament. She is a medium size. We are excited to see if she passes her testing and then the puppies she produces for us in the future! Annie was born March 20, 2018. She lives in a guardian home in Sisters, Oregon with an amazing family. Annie has a gorgeous apricot/red coat and a nice sweet temperament. She is a medium size. We are excited to see if she passes her testing and then the puppies she produces for us in the future! Melia was born April 7, 2018. She lives in a guardian home in La Pine, Oregon with a loving family. 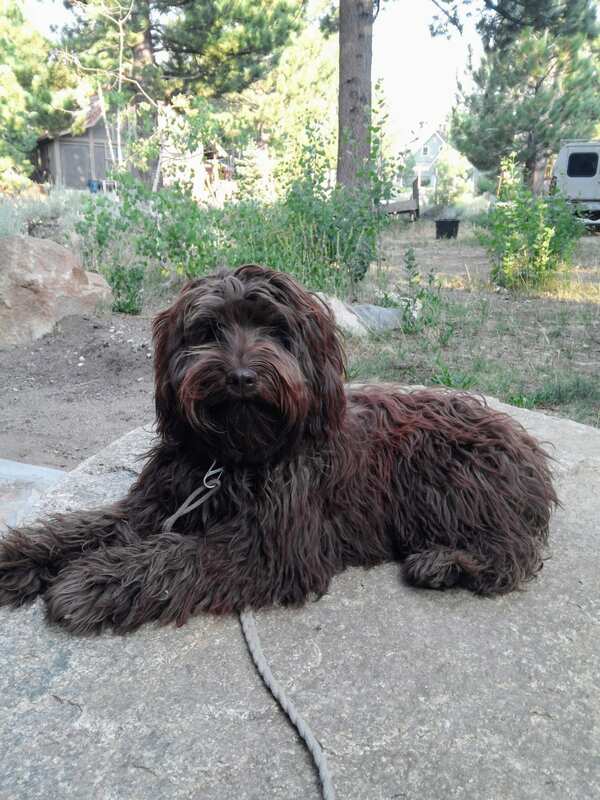 Melia has a gorgeous chocolate coat and a nice sweet temperament. She is a medium size. We are excited to see if she passes her testing and then the puppies she produces for us in the future! Hope was born September 2, 2017. She lives in a guardian home in Monmouth, Oregon with an amazing family. Hope has a gorgeous apricot/cream coat and a nice sweet temperament. She is a medium size. We are excited to see if she passes her testing and then the puppies she produces for us in the future! Sandy was born June 24, 2018. She lives in a guardian home in Sisters, Oregon with an amazing family. Sandy has a gorgeous apricot coat and a sweet temperament. She is a small size. We are excited to see if she passes her testing and then the puppies she produces for us in the future! Arlo was born May 5, 2018. He lives in a guardian home in Bend, Oregon with a loving family. Arlo has a gorgeous red coat and a nice sweet temperament. He is a medium size. He will be a great addition to our stud boys. We are excited to see if he passes his testing and then the puppies he produces for us in the future!